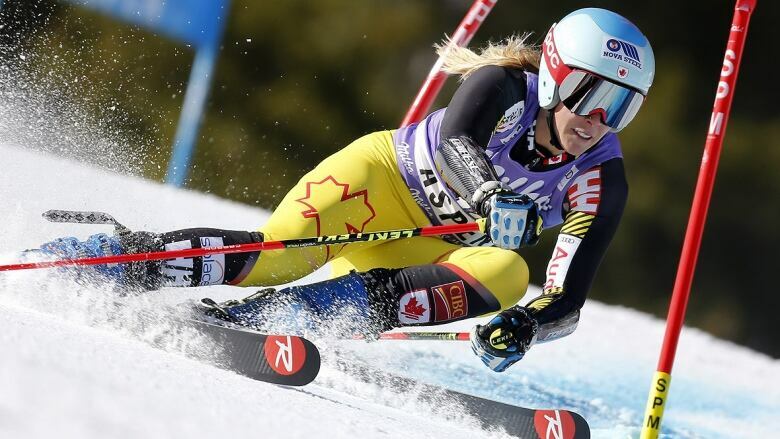 The Canadian skier is competing at Lake Louise this weekend and conquering the hill where her 2018 Olympic dreams were dashed. 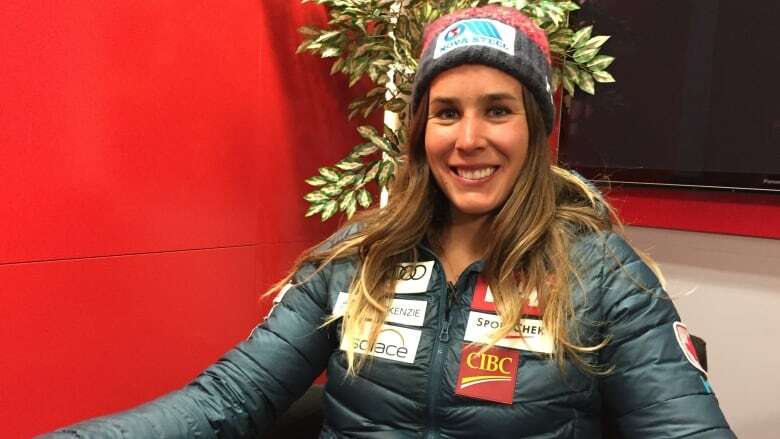 Last year, alpine ski racer Marie-Michèle Gagnon was on her way to representing Canada at another Olympic Games when she lost her edge coming around at turn in Lake Louise. The safety net did its job by keeping her on the course, but when she finally came to a stop she realized right away that her 2018 Olympic dream was in jeopardy. Doctors would confirm her fears a few days later, when an MRI concluded the Lac-Etchemin, Que., native suffered torn ligaments in her knee and her shoulder. Gagnon says the reality of what it meant hit her when she called her father to tell him the news. "For some reason that hit a note, and I started bawling for like five minutes. And then it went away. It was done. I had my five minutes," she said. "I guess I knew the risk of my sport, and I had never [torn] the ACL before, which is kind of a rite of passage in our sport." Gagnon watched the 2018 Olympics from home and admits that seeing her events play out without her was difficult. "I wish I had been there but I never felt sad. I always try to be optimistic, my mom is always like that, so I kept going in that direction," she said. Her focus was on getting back on her feet and into competition. The planning kept her mind off what she was missing and kept her focused on what was next. "It was bad timing for sure. But you fall and you get back up and that's about it." Gagnon made her career racing in slalom events and twice represented Canada at the Olympics in that capacity. But even before her injury at Lake Louise in 2017, she was angling for a change. "I'm kind of boycotting slalom," she now says. Gagnon wants to go as fast as she can, and that means competing in the downhill — the most fast-paced of the alpine skiing events. She says that thinking back to her childhood and learning to ski on her local hill, Mont Orginal, speed is what hooked her on the sport. "You talk with all my old coaches and my old trainers and they all say, 'You just loved to go fast'. I would go from the top of the hill and all the way down without a turn and in my tuck position. I just loved it." So now that she's healthy, she says she wants to start listening to the little kid inside her head and pursuing her dream of competing in the downhill at the Olympics. "I'm following my heart. I feel like I'm reborn in my sport. I quit one part and I'm starting over in a new one." The 2022 Olympics, if she qualifies, will probably be Gagnon's third and final games. Competing in the downhill would represent achieving her ultimate goal. But before Gagnon can think of competing in Beijing 2022, she had to overcome the mental hurdle of retaking to the course where her Pyeongchang dreams were dashed. She did that Friday, when she competed in the downhill and completed the course without incident. The result wasn't her strongest — her time was 44th out of 47 athletes. But it was one of the first steps in a four-year journey back to the sport's biggest stage, and Gagnon is no stranger to setbacks. "You just keep going. In skiing there are so many days when you don't win. I've only won two World Cups of two-hundred and something races, so I'm used to not getting what I want everyday. Adversity, it just makes when you win that much sweeter." Douglas Gelevan, a national award-winning sports journalist, has been a member of the CBC team since 2010. 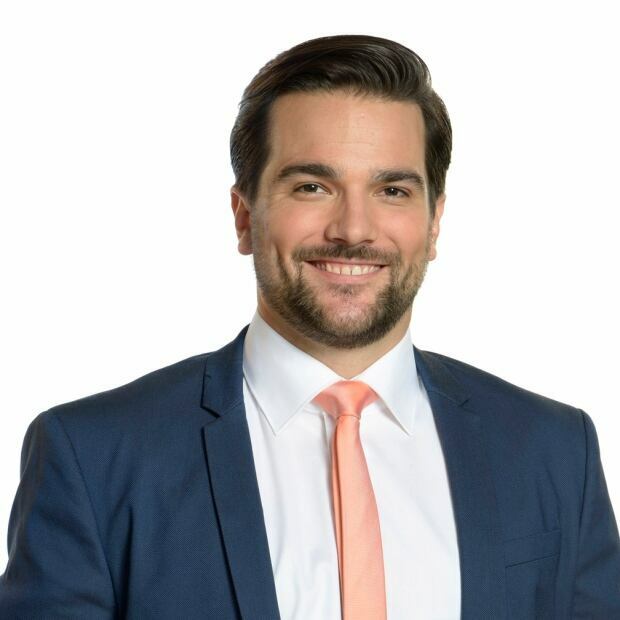 He is currently the sports journalist for CBC News Montreal.